Sure, prawns are now something of an Aussie tradition at Christmas, but plenty of people still take the traditional approach. Prepping and roasting an entire turkey can be a heck of an ordeal, especially if you mess up. If you forgot to thaw your bird, are short on cooking time, or missing some tools, here's some tips to save the day. You wake up early to start cooking only to find that you've completely forgotten to thaw your turkey. Properly thawing a turkey in the refrigerator takes a full day for every two kilos, so a big bird takes quite a while. If you forgot, all is not lost, however. This video from the America's Test Kitchen YouTube channel explains how to thaw your turkey in a matter of hours. 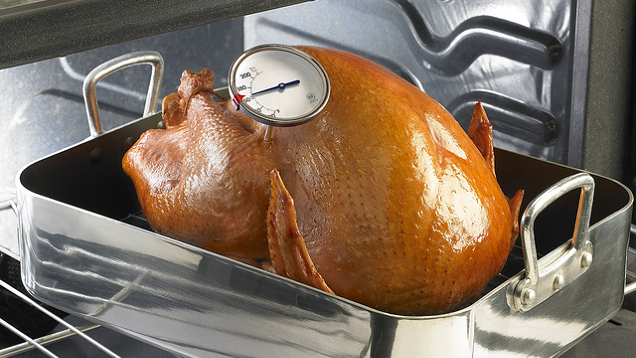 Place the turkey in its original wrapper inside a large bucket and fill it with cold water. Now let it thaw for 30 minutes per pound, and be sure to change the water every 30 minutes as well to avoid bacterial growth. Roast your turkey in pieces: The cook time for turkey is so long because the bird is so thick. Cutting it into pieces and laying them out to roast in a pan cuts down the cook time immensely. 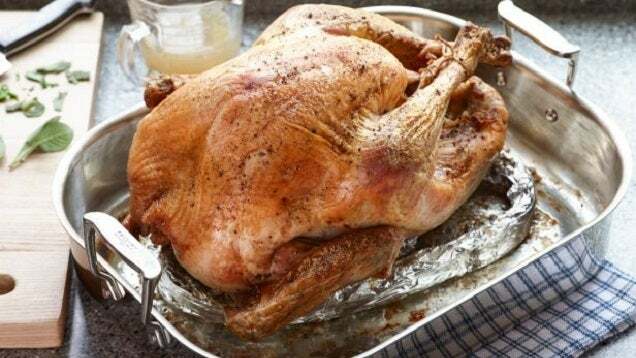 This recipe from Rachael Ray that's demonstrated in the video above cooks a 9-kilo turkey in only an hour and a half. Spatchcock or your turkey: Spatchcocking — also known as butterflying — is a way of splitting the bird and flattening it out so it can cook faster. 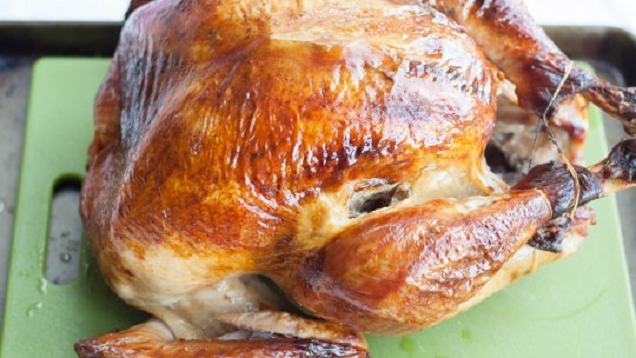 A spatchcocked bird can roast in under an hour. 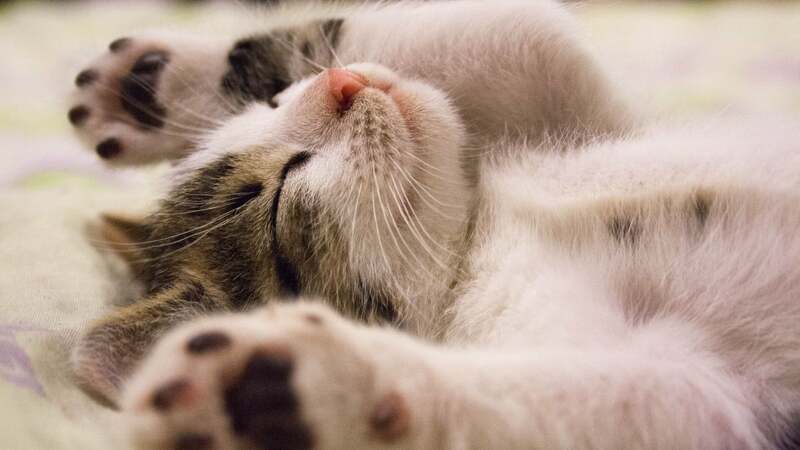 Keep your cool and reduce the size of that turkey. It won't look like the classic dish you see in pictures, but it will still taste amazing. The rack is important because it allows heat to circulate evenly. Poor heat circulation could mean an under-cooked turkey, but The Food Network blog suggests you can make a simple rack out of aluminium foil. Crumple some large sheets of aluminium foil into a metallic snake and make a coil for the bird to rest on. No foil? No problem. Megan Myers at the Whole Foods Market blog recommends using leftover veggies or veggie parts that you'd normally throw away as a bed for your turkey. The heat can circulate and you might get a little extra flavour going. If there's one item you should have ready for any turkey troubles, it's turkey or chicken stock. If, despite your best efforts, your turkey came out a little rare, Food.com user Mama's Kitchen suggests bringing some stock to a boil. Even if it's not all cooked through, carve the turkey and add the under-cooked meat to the boiling stock. It will cook the meat through without drying it. Seriously, have some turkey or chicken stock on hand. If your bird comes out dry, a little bath in the stock will revitalise its juiciness. 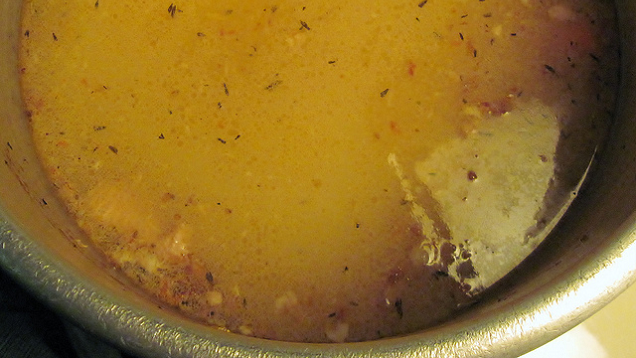 After you've carved the bird, dredge pieces of turkey in a pot of warm stock and they will soak up all that liquid. You've gone through all that work and you just realised you don't have anywhere big enough to carve your turkey. Christine Gallary at cooking blog The Kitchn recommends grabbing the biggest cutting board you have and placing it in a baking sheet. Now you have more space to carve and you don't have to worry about getting juices or turkey bits all over the place.